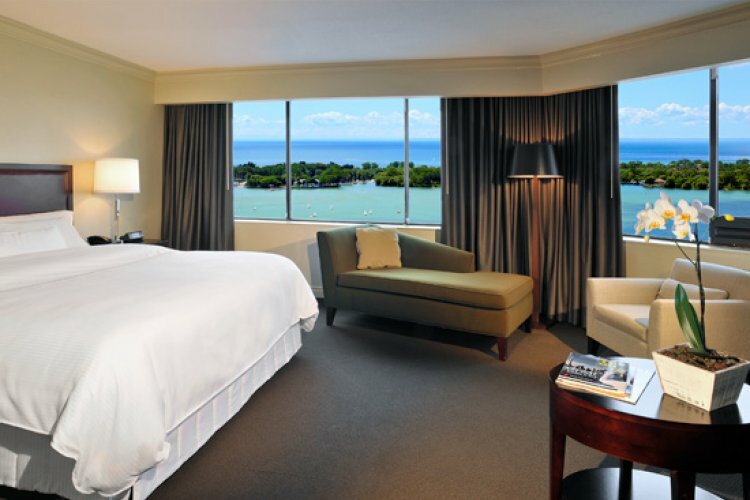 Rising above the scenic Lake Ontario, The Westin Harbour Castle hotel is perfectly located near all the cities major attractions including the entertaining theatre districs, financial are and the Air Canada Centre. With breathtaking views over the Lake, the twin tower blocks featuring 977 luxury accommodations provide the upmost in luxury and will please the most even the most discriminating traveller. With rooms coming complete with a wide range of modern amenities including the signature Westin Heavenly bed to provide you with a heavenly nights sleep. Guests can enjoy a good work out at the state of the art fitness centre overlooking the picturesque Toronto islands and making your work out that little more enjoyable. Features include an indoor heated pool, Outdoor swimming pool, Westin Workout Gym and a whole range of spa treatments so you can really relax. In the stunning marble lobby of the Westin Harbour Castle, Toronto guests can dine in The Mizzen which offers a exquisite range of a la carte dishes plus a light buffet. 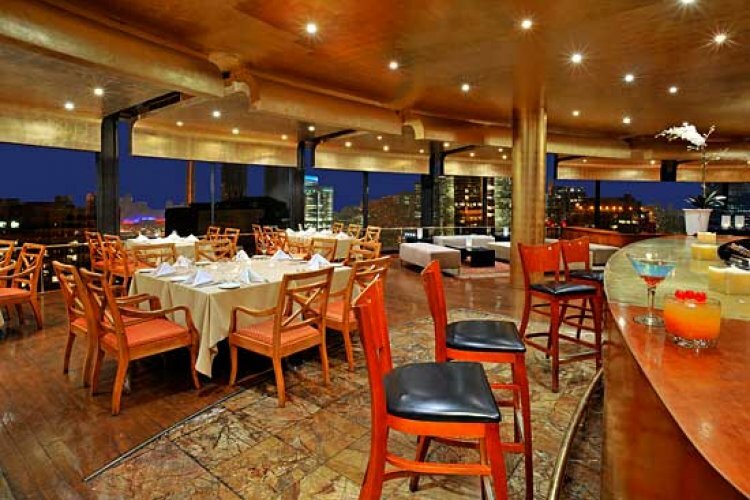 For diners looking for the finest in cuisine the Toula restaurant which is located at the very top of the south tower offering fantastic panoramic views over the cities skyline and distinguishing itself as the premier culinary destination in Toronto. Great location for sightseeing and fantastic viewsfrom the hotel. One thing that was a little annoying was that you had to pay for wi-fi in your room.